Selling a home takes a lot of hard work, and to save money, some homeowners go about it all on their own. 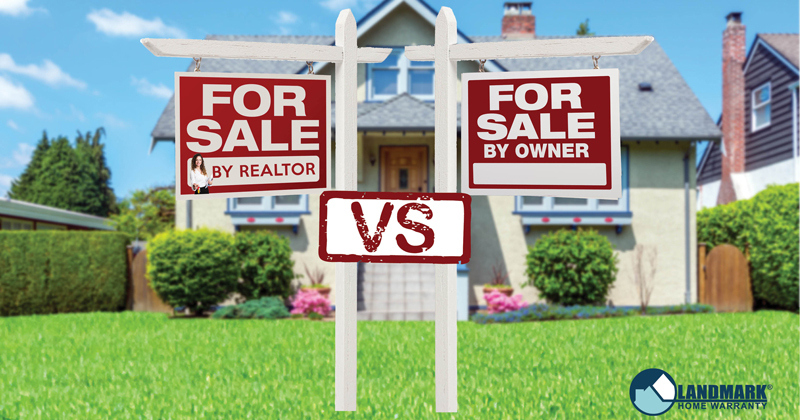 There are pros and cons to selling a home without a professional real estate agent, and ultimately only you can weigh those options and decide which is best for you and your home. Landmark has created a comprehensive list of both sides to help you decide. When you hear arguments about why it’s best to sell a home FSBO (usually pronounced fizz-bo in the real estate industry), they usually talk about the net income. “Selling your home yourself will save you money because you don’t have to pay a Realtor,” FSBO advocates will say. One small study completed by Northwestern University found that out of all the homes sold in Madison, Wisconsin between 1998 and 2004 FSBO sales got at least the same amount of money as homes sold by a Realtor. It is true that real estate agents make a percentage of the home sale price (usually 6% for Buyer and Seller Agents), but those fees cover a lot of time and money that go into selling a home. In fact, a study completed by the National Association of Realtors found that in 2008 the median price of homes that were sold by an agent was $211,000, while those who were FSBO were $153,000. If you are choosing to sell your home without a Realtor, you will have to pay money to stage and list the home (which can take several hundreds, if not thousands of dollars to do), as well as host open houses for potential buyers. A Realtor will help you stage your home for potential buyers, take pictures, and list the home on the Multi Listing Service, a real-estate-agents-only website where thousands of people will see the home. You won’t have to pay the hefty fee that goes along with that listing if you work with a Realtor. Realtors also will host open houses and property viewings with their own time so you don’t have to take breaks from work or life to show potential buyers your property. Not only that, a FSBO seller won’t escape all of the realtor fees. A buyer’s agent will most likely ask for a 3% commission from the home sale for their services to the buyer. What is the main component that you need for a successful home sale? Besides a home, you need qualified potential buyers! According to another study done by the National Association of Realtors, in 2012 90% of homebuyers looked for their new home online. FSBO sellers can purchase ads in magazines or newspapers, or try and host the listing online, but real estate agents have more ways to get visibility to a home, like the Multi-Listing Service. How long do you want your home to be on the market? The longer the home is on the market, the less it will sell for, generally speaking. The National Association of Realtors found that homes sold through the Multi-Listing Service sold 20 days faster on average, and 20% of FSBO listings had to renew their listing on the MLS because they didn’t sell. There’s a reason a real estate agent is a full-time job. It takes time to stage, schedule property viewings, and get offers on a home. Agents work long hours, as well as weekends and holidays to make sure that the home is sold for the right amount in the least amount of time. Many FSBO sellers have to shorten their hours at work so they can show the home during business hours, cutting their paycheck. Other FSBO sellers keep their home on the market for a long period of time because they can’t drop everything and run when a potential buyer wants to look at the home. They don’t have enough time to put into the sale of their home, so it stays on the market for even longer, which is a red flag for potential buyers whether it’s justifiable or not. A home sale is a legal transaction. Thus, the seller and buyer have to negotiate. A real estate agent will handle all of the negotiations, but a FSBO buyer will have to negotiate by themselves. A real estate agent or FSBO buyer will have to negotiate with the buyer, buyer’s agent, buyer’s attorney, the home inspector, the appraiser and the bank. A FSBO will have to strategize by themselves and rely on their own expertise. Dave Ramsey, a real estate agent and personal finance personality, has said that even with 30 years of experience under his belt as a real estate agent if he were selling his home, he would hire a real estate agent. Realtors are actively selling homes and know the market in your area – they are the experts when it comes to selling a home. In your lifetime if you sold all of your homes, you would probably sell three to four homes in a lifetime, while a real estate agent sells three to four homes in a week. Again, selling a home is a legal transaction. Remember that if you choose to sell your home yourself. Some states may not let you go through the home closing without having a real estate attorney present. Not only that, but unless you’re well versed in legal documents, you could end up overlooking a required form or disclosure and end up with a lawsuit after closing. A real estate agent knows the legal ins and outs of home selling and can help you make sure you don’t end up with a lawsuit on your hands. Regardless of if you decide to sell a home yourself, or if you’re going to be selling your home through a real estate agent, protect your systems and appliances with a home warranty. A home warranty is like home repair insurance or an appliance warranty – it covers failed systems and appliances for a small service call fee. 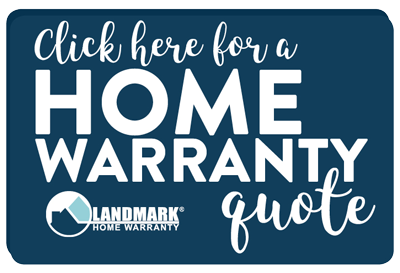 For more information on home warranty coverage, the cost of a home warranty or where the best home warranty companies are located, go to www.landmarkhw.com. Looking to buy or sell a house? Are you a real estate professional seeking helpful resources to educate your clients? These articles will help walk you through the process of buying or selling a home.